Screen recorders are quite helpful for those people who are operating a business or for those people who have freelancers working under them. A screen recorder lets the user record him or herself easily. Sometimes when you have to explain something to someone, it is hard to do so with words. In that case, these screen recorders prove to be quite handy. 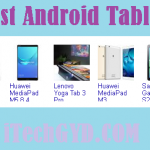 Recorders for PC were already available but since cell phones are being used more widely, screen recorders for Android have also increased in number. This is quite a helpful Android screen recorder. It lets you make a lot of changes to the recording before or after it has been saved. You can change the bit size and the frames size. Along with that, you can edit your video after you have a recorder and add any notes if you want to. The app gives you the options of recording external audio so you start recording and when you are done, you just have to shake your phone and the recording would stop. Instead of making a full-fledged video, you can also make a GIF in the app. There is a watermark for the app but you can always turn in off in the settings. AZ screen recorder also has the same feature as DU. It comes with the option to stop the recording by shaking the phone and changing the bit size or frame size of the video. Furthermore, you can also choose the resolution of the video yourself. The app lets you edit videos after you have made them. The app is free but it can be made premium by buying that version. This version will have more and better features such as no ads and the ability to add recordings using the front camera or even adding GIFs to the recordings. This recorder is suitable for those people who want to record the gameplay of several games. It comes with a Game Launcher that lets the user record the way a game is played. The app comes with night version which instantly turns the background black, making the light easy on the eyes. It lets the user trim the videos and even add text to the videos for explaining the gameplay to someone. Mobizone is another screen recorder for Android that comes with a lot of features such as editing the recording and freedom to alter the resolution, bit frames per second. The app is free of charge so there is a possibility that you would see ads on it. You can turn them off by buying anything from the app. ADV recorder lets you record your screen in any resolution or format that you want. There is an increased option of the user setting a timer after which the video starts. The user can also add recordings from an external source or from their own voice. This feature comes with the ability to alter the screen size and resolution. You can also add a logo to your recording with this app. To stop the recording, you just need to turn off the screen. Rec has the same features as the recorders mentioned above. You can change the resolution of the recorded videos as well as set a countdown timer of up to 10 seconds. The app is free but premium version costs a bit since it removes the ads and gives more features like showing the touch, adding voice-overs and customising the timer. This recorder is different than other ones as it has the resolution of 1440 and the lowest is 360 which is quite sharp. The app has all the features that other apps do. The only thing you might need to buy for a single dollar is the touch feature. You can set a countdown timer for when the recording should start. To stop the recording, you can either shake your phone or simply turn off the screen. 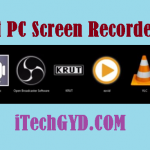 This screen recorder is fit for those people who do not need a much complex screen recorder and can work with even the minimum features. It lets the user change the frames per second or the resolution of the video. It also comes with the feature of hiding the notification of the app from the panel. You can also add anything from your phone’s own camera either after the recording or during the recording. The app is free of charge and some features can be unlocked by watching videos. This will not remove the ads but it will give you access to many features. A lot of people do not see the apps that are already present on their phones. All Android phones come with Google Play games already present on the phone. This app lets you record the screen of your game in any resolution and format. So, if you want to make a video of screen Recording of a game and post it on YouTube as a Tutorial, you can simply use this default app on your phone. Screen recorder also has the same features as the other apps on the list. It lets your record in any format and resolution. The app is free and the premium version is quite cheap too. This version can let you use the app without any ads and also lets to minimize the app while recording. You can use any one of these recording apps to record videos and upload them to YouTube as tutorials or teach your clients or employees. All of these work well and will not disappoint you in any way.